Who are these DC superheroes? Besides Batman, Superman , Wonder Woman and Green Lantern, who are these superheroes? 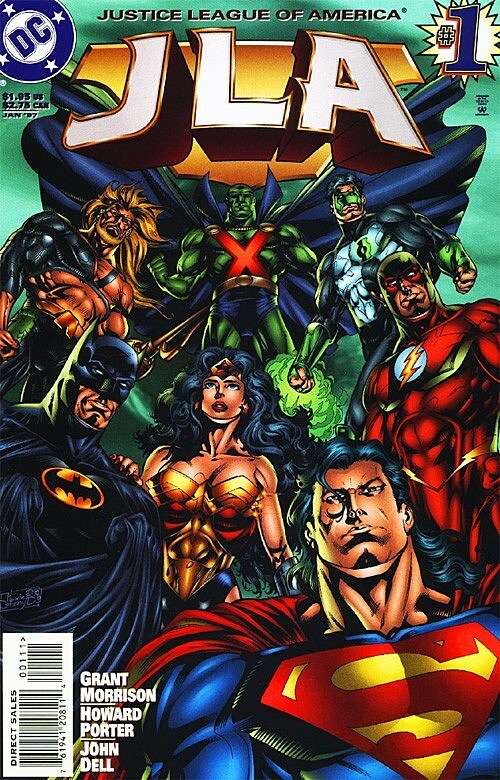 The foreground image is the initial line-up of the Justice League team seen in Justice League of America (2006). The image comes from issue #7 of that series. The photographs seen on the wall around those team members show the membership of the team from other times in the group's history. Middle left framed image: - This represents the Justice League's membership during the "satellite era" (when they moved from a headquarters in a cave to a satellite headquarters, circa Justice League of America (1960) #78-232). Technically, Martian Manhunter and Snapper Carr were not members of the League during this time, but both made occasional appearances. I was unable to find this image, but I suspect it appeared somewhere around issue #200 (in which both Martian Manhunter and Snapper Carr appeared, and which had art by George Perez, who looks like the artist of this piece). Top center framed image: - This represents the "Detroit" era of the Justice League. Following the destruction of the satellite headquarters, current League chairman Aquaman decided the League should only consist of full-time members; only the four previous members below remained, with four relative newcomers joining. Their new headquarters was in Detroit. 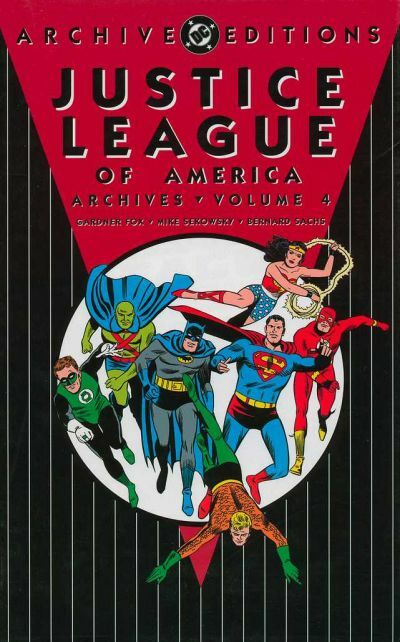 This version of the League was active in Justice League of America (1960) 233-261, following their introduction in Justice League of America Annual #2 (which is where the image comes from). Top right framed image: - This represents the version of the League seen in Justice League (1987) (The title changed to Justice League International with issue # 7, and Justice League America with issue #26). 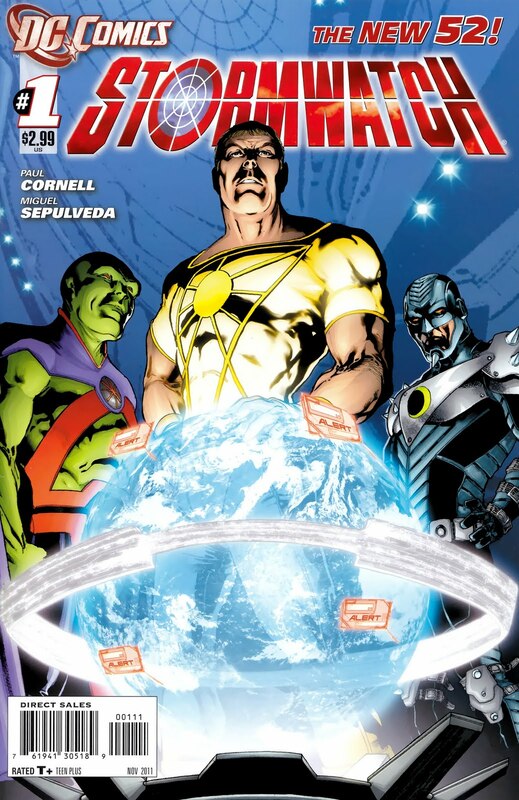 The image is from the cover of issue #1. 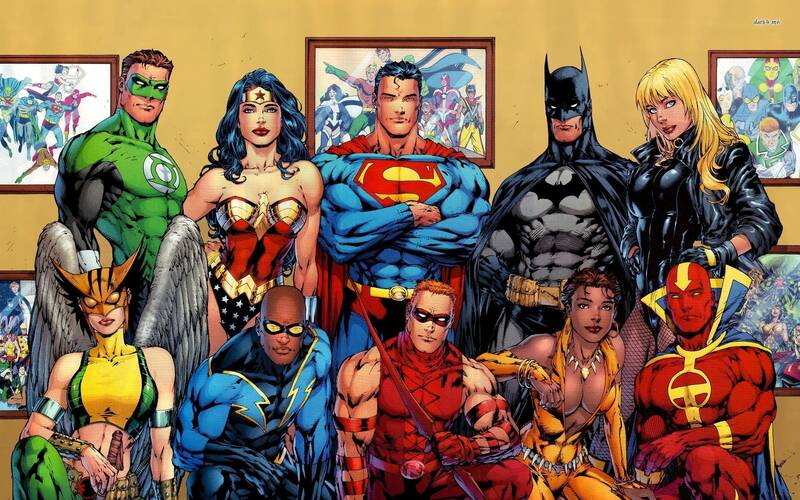 Middle right framed image: - This image represents the version of the Justice League from JLA (1997). Grant Morrison returned to the original 7 League members (or the characters who had taken over for them) as the core team for his run. ~ Special thanks to Mike Edenfield for identifying Snapper Carr for me. Bottom: Hawkgirl, Black Lightning, Speedy/Arsenal/Red Arrow, Vixen, Red Tornado. Not the answer you're looking for? Browse other questions tagged dc character-identification or ask your own question. Who are all the people in this “BEST. SELFIE. EVER!”? Who are these Lego superheroes? Why are heroes without supernatural powers considered “super” heroes? Who are these classic DC characters? What are the Justice League members’ weaknesses? Can you please identify these DC characters?